Rose covered pergola. 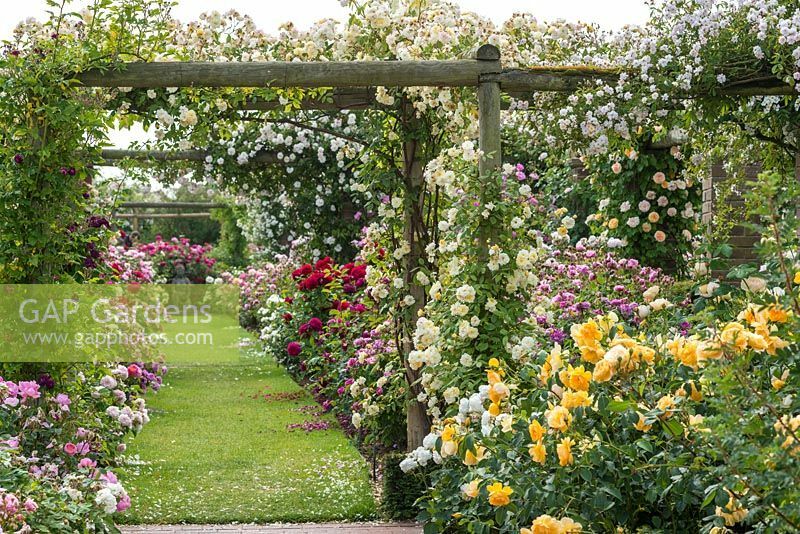 The Long Garden, David Austin Roses, Albrighton, Staffordshire. Image 0446376 has been added to your cart.